Goss - Vehicle Mechatronics has been an iconic Australian automotive aftermarket parts supplier for over 75 years. 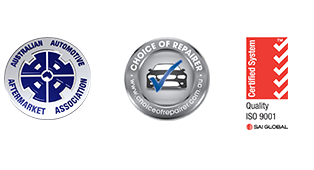 Offering the automotive aftermarket a true genuine alternative is our priority. With a dedication to extending our ranges and exceptional customer service. All products within the Goss range are put through a stringent validation process using state of the art testing facilities. Our extensive range of products are OES engineered and sourced from global OEM suppliers, offering our customers a true Genuine Alternative. Mechatronics is a multidisciplinary field of science that includes a combination of mechanical engineering, electronics, computer engineering systems and control engineering. Goss embrace the new future of mechatronics products, continually offering new programs and product ranges to the automotive industry. Providing exceptional customer support is paramount at Goss, that’s why we offer a multitude of platforms to assist you. Free technical assistance either online chat, email or over the phone, fitment instructional videos, technical bulletins and participation on social medial platforms and forums. Enter any OE manufacturers part number to display GOSS cross reference/interchange part no. GOSS is committed to ensuring that customers choose the right product for their application. Our Resource Centre gives you access to GOSS technical support and training through a variety of methods, as well as keeping you up to date with latest news, technical and product videos and technical documents. You also have access to our experienced customer service team. Variable Valve Timing (VVT) is a technology that's used on many newer model engines to improve fuel economy, idle smoothness, emissions and performance. Direct Injection petrol engines are now fitted to more than 2 million vehicles in Australia and New Zealand. Allowing manufacturers to produce a low capacity engine that produces higher output while providing improved economy and lower emissions.